What is Itsy Bitsy Yoga? What parents are saying about our classes? What is Itsy Bitsy Yoga®? Itsy Bitsy Yoga® is a fun and gentle developmentally-centered program for young children and their parents. Itsy Bitsy Yoga® was developed by Helen Garabedian, Certified Yoga Teacher and Infant Developmental Movement Educator and Author of two best-selling books. Itsy Bitsy Yoga offers parents and caregivers three class options depending on their child’s age and developmental stage. There are Itsy Bitsy Yoga classes for babies, tots, and tykes. 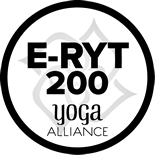 Collectively you can enjoy over 125 Itsy Bitsy Yoga poses, rhymes and activities that provide developmentally nutritious interaction between parent and child. This nurturing program gives parents and caregivers the tools and support they need to bond with, and comfort their little ones as they grow into their bodies and explore their surroundings. Even celebrities like Courtney Cox, Tori Spelling and Adam Sandler are practicing Itsy Bitsy Yoga with their little ones. The TV Guide Network recently featured Itsy Bitsy Yoga in their 2009 Building the Hollywood Body special — check it out! Baby Itsy Bitsy Yoga classes contain dozens of unique yoga postures designed to support baby’s development. Each class is filled with calming, nurturing ways to enhance bonding and improve baby’s sleep. During a Baby Itsy Bitsy Yoga class, babies enjoy yoga while on their backs, tummies, or held in loving arms. For parents, this class is a special opportunity to meet other moms and dads, get support, and learn about baby’s emerging personality. Most of the yoga we do in Itsy Bitsy Yoga is for baby, but you will also learn breathing and relaxation techniques as you practice a bit of yoga yourself. No yoga experience required. Baby Itsy Bitsy Yoga was created by Helen Garabedian, an Infant Developmental Movement Educator, yoga teacher, and mother. Each class is taught by Anna Starikov, a trained and certified facilitator. Itsy Bitsy Yoga for Tots is a supportive, fun-loving, and active yoga class. As tot’s mobility increases, classes offer tot-centric poses that encourage and support their physical explorations. Tots become more confident in their moving bodies as they practice yoga both in and out of class. During a Tots Itsy Bitsy Yoga class crawlers and walkers playfully practice yoga postures while they are standing, sitting up, walking, and jumping. Parents also get to do a little yoga, but no yoga experience is required. 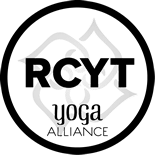 Tots Itsy Bitsy Yoga was created by Helen Garabedian, an Infant Developmental Movement Educator, yoga teacher, and mother. Each class is taught by Anna Starikov, a trained and certified facilitator. Tykes Itsy Bitsy Yoga combines unique toddler-friendly yoga poses with songs, stories, and games to create an enriching parent/child activity. Each class is personalized around tyke’s curiosities as they learn yoga through social interaction, repetition, and play. Tykes also learn how to relieve frustration, improve motor skills, and increase attention span by actively following directions. Help your tyke build the foundation for a healthy and fit lifestyle while having fun! No yoga experience required. Blossoming Yogis typically offers Tykes yoga for one session during the summer (usually in July.) Contact Anna to be added to the waiting list. Developed by Helen Garabedian, an Infant/Early Childhood Developmental Movement Educator, yoga teacher, and mom of a tyke. Each class is taught by Anna Starikov, a trained and certified facilitator. 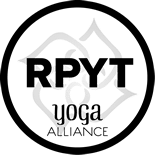 The Little Family Itsy Bitsy Yoga class follows the Tykes description above PLUS younger siblings can also join the class! Finally, a program suitable for BOTH kids! 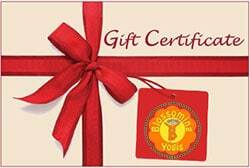 Blossoming Yogis is currently not offering Little Family yoga classes. Please contact Anna for more information. There are many benefits of practicing yoga. As adults, yoga provides an opportunity for us to turn off the hustle and bustle of our busy lives and focus our energy on ourselves. It helps us find our center, works on our balance and strength, focuses us on our breathing, improves our overall health and much, much more. Check our schedule and start sharing these benefits with your baby, tot or tyke today!